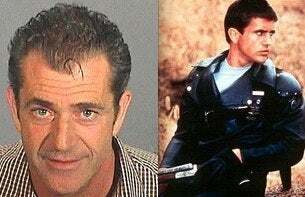 Mel Gibson faces a rare opportunity to pull himself out of the career black hole he's fallen into. Rumors of Mad Max 4 are circulating again and this time it sounds like the movie has some proper funding, care of Omnilab. Mel, it's time to put aside your delusions that you can be an arty movie maker, and go back to doing what you do best, killing post-apocalyptic biker gangs. And maybe, just maybe America will remember why we put up with you in the first place. Click through for new and old rumors on Mad Max 4: Fury Road. Mad Max 4 has been talked about for years, In 2002 according to First Magazine (an Asian movie mag), Gibson was attached to the 4th Max after heavy contract negotiations. Gibson also had big dreams of getting Robert Downey Jr. in the movie somewhere as well. Heath Ledger was also constantly getting linked to the 4th Max installment, but never confirmed these rumors. There was a lot of talk about Mad Max 4, but not a lot of action. Now a press release from Omnilab Media is stating that Max is going to get some real funding, and will continue to work with original director George Miller. Omnilab Media has also created a new digital film company with Kennedy Miller Mitchell to use groundbreaking digital storytelling, animation and visual effects. This will include HAPPY FEET 2, BABE 3 & MAD MAX 4 and a range of other blue-chip properties in development.